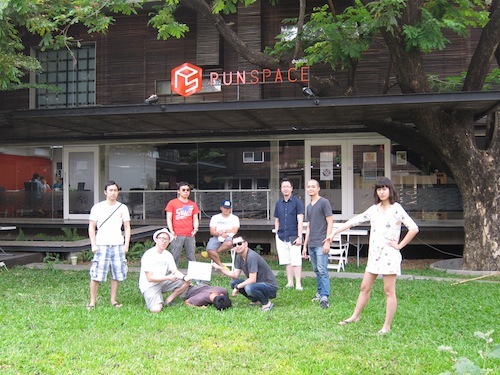 HUBBA Coworking Space, Bangkok’s 1st Coworking Space for the Startup, Creative and Freelance community and Pun Space, Chiang Mai’s 1st coworking space has form a Strategic Partnership to collaborate on the development on Thailand’s startup ecosystem. 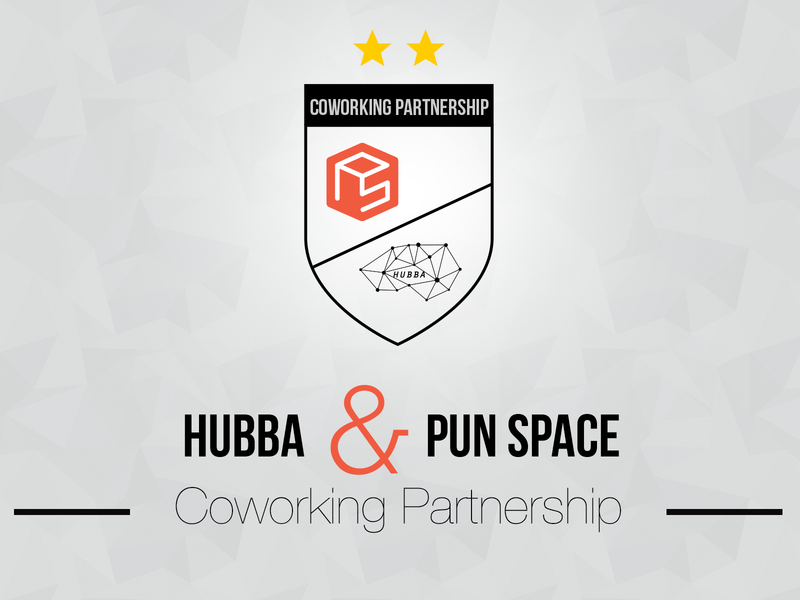 HUBBA will be hold a stake in Pun Space and will work closely together to catalyze both city’s startup ecosystem via joint promotions, events, and other activities, for which the cofounder of both coworking spaces are passionate about. This is following the success of the jointly hosted events between HUBBA and Pun Space on March 24-27, 2013 such as UX Workshop for Founders and Tech Meetups. “Our partnership with HUBBA in Bangkok will encourage anyone who like to travel and work to join our coworking space network. 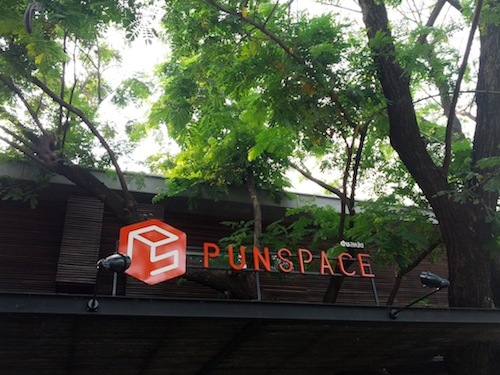 People who like medium-sized city like Chiang Mai can move out here and work at Pun Space knowing that they always have a place to work when they go to Bangkok on business. On the other hand, people who are based in Bangkok will have an option of coming up to work in Chiang Mai to get away from the complexity of urban life. In the end, the whole Thailand’s coworking ecosystem will benefit as more people join the community and the community becomes more valuable to every member,” said Vichaya Sirisanthana, Co-founder of Pun Space. To kick off the partnership, both coworking spaces will be launching a Coworking Visa initiative between the two spaces, a first time in Thailand. This initiative will allow HUBBA members the privilege to travel and use Pun Space, free of charge, for a maximum 3 days every month and vice versa with Pun Space members traveling to HUBBA. The trial offering is valid until July 31, 2013 and may be extended or adjusted depending on the demand and feedback from both coworking communities. HUBBA Coworking Space is Thailand’s 1st coworking space for tech startups, creative entrepreneurs and freelancers with over 100+ active members to date. HUBBA’s ultimate goal is to be a startup ecosystem builder that drive coworking and startup movement across Thailand to turn the country into the startup capital of Southeast Asia. HUBBA is also an event organizer, such as Startup Weekend Bangkok and in partnership with E27.co, Founders Drinks BKK networking talks and parties, the upcoming Echelon Satellite Thailand pitching event and Echelon Ignite Thailand regional tech conference. HUBBA and partnering spaces will grow to spaces by 2013, with the capacity to serve 500+ startup entrepreneurs and freelancers. 2 meeting room, a small one for 6 people or large one 20-people room for training. Fully equipped with audio-visual equipment. Pun Space provides a serene working environment to boost productivity and creativity.